In February, there’s little of postcard-style Paris in sight. You might say that the capital is at its lowest ebb: the surge in tourism that comes with Christmas and the new year is firmly in the rear-view mirror, and there’s a general sense of hunkering down and “just getting through” the rest of the winter. 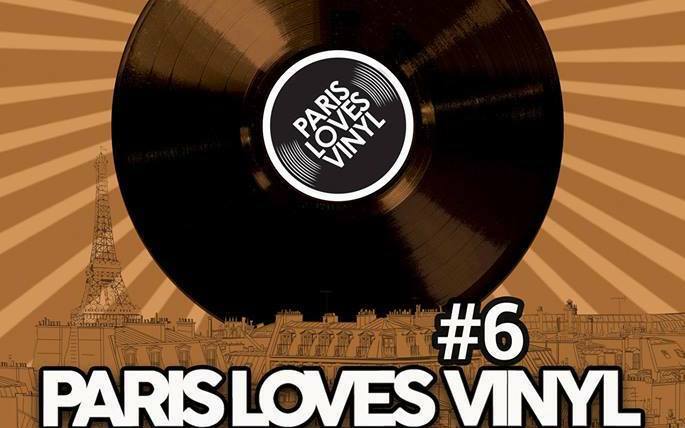 But while it’s not for everyone, visiting Paris in February can produce some unexpected charm. If you know where to look for it, and have the ability to see past the rather sleepy and gloomy pall that occasionally seems to hang over the air (and over the grumpy faces of certain locals), you might just end up loving this time of year in the capital. Paris in February can produce unexpected charm, but you have to open yourself to it. 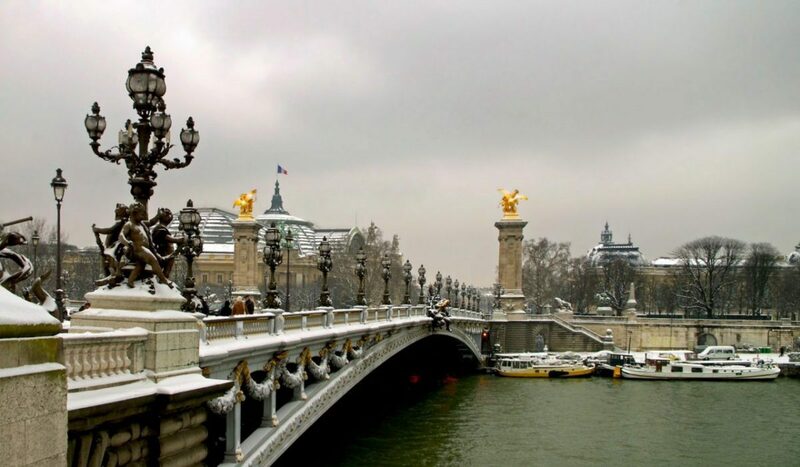 Pictured: The Pont Alexandre III dusted with (rare) snow. After all, this is a city that has produced some of the most significant artistic and literary movements in history. Do you really think much of that groundbreaking work got done on balmy spring or summer days, when the promise of sipping wine outside and chatting away with one’s fellow “salon” members on cafe terraces probably drew the likes of Victor Hugo, Vincent Van Gogh, Henri Matisse, Richard Baldwin, Simone de Beauvoir and Allen Ginsberg away from creating their masterpieces? I don’t think so. Winter inspires some of us in ways that are both mysterious and hard to define. But I digress. My point is this: you, too, can find inspiration in this quieter version of Paris. That doesn’t mean giving up on the prospect of finding stimulating and interesting things to do, though. Read on for a few of my suggestions on making the most of your trip in February 2019. For even more ideas and tips, I recommend consulting the Paris Tourist Office page and the event calendars hosted there. What Is There to Do in February? 3. Take a self-guided tour of some stunning Parisian monuments. 4. 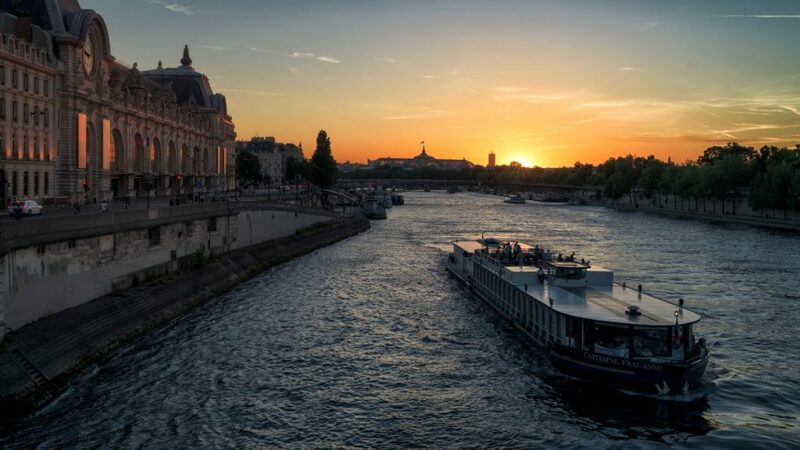 Take a romantic cruise on the Seine. 5. Warm up with tea & pastries. 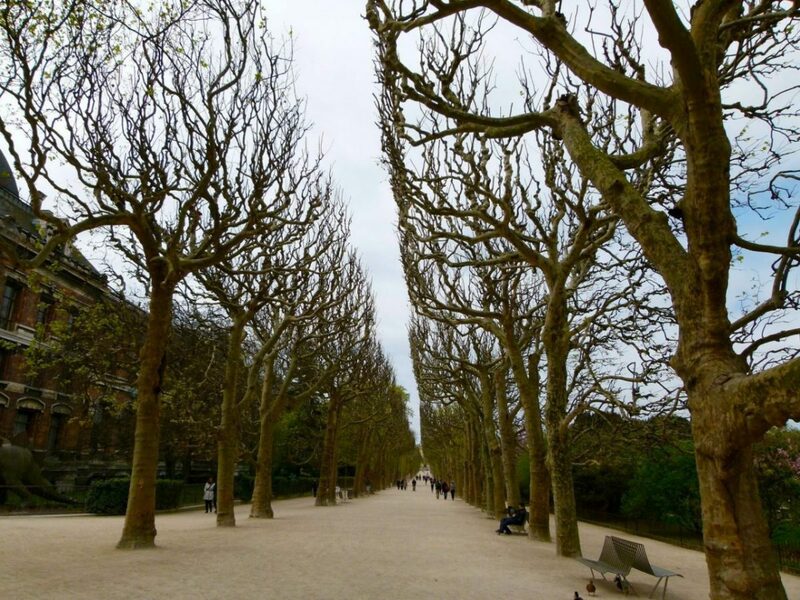 Bare winter trees poetically line a park lane in Paris. It can be nicer than you think to take a brisk stroll in February, especially on clear days. February is generally quite cold in the capital, and it isn’t unusual to experience temperatures that hover at or dip below freezing. Clear days can be beautiful and afford the perfect opportunity for a walk among bare winter trees like these ones, but make sure your suitcase is properly stocked. It’s essential to bring plenty of warm clothes: thick sweaters, a good winter coat, warm socks, and even a waterproof jacket or windbreaker to protect you from any unpleasant lashings of icy rain. Wool-based socks, a good pair of gloves, hat and a warm scarf are also very important items to wear out on most days: this is flu season and you don’t want to be even more vulnerable to catching something nasty, thereby ruining your trip. In case of the odd warm day, bring lighter clothes to layer underneath your winterwear. It does sometimes snow in February, but as I’ve already explained in my other winter guides to Paris, it almost never stays put. Instead, after promptly melting, it can form an unpleasant and sometimes hazardous icy slush, or rarely, black ice on the streets and sidewalks. This is ice you can’t see and than can send you flying. Sorry to the fashionistas among you, but you’ll have to wear sensible shoes if conditions get icy like this. Keep your heels in a bag and put them on once you get to your gala or other event– it’s not worth it to attempt navigating slick winter streets in wobbly Manolos. Like I said earlier, this is Paris hivernal (wintery Paris) in its most acute form, and it’s true that there are relatively fewer big events on this month to fill your schedule. Yet there’s still plenty to see and do. Keep reading for ways to stay warm, stimulated and busy. Generally falling in February, Chinese New Year injects some much-needed color, warmth and festivity into the streets and air. 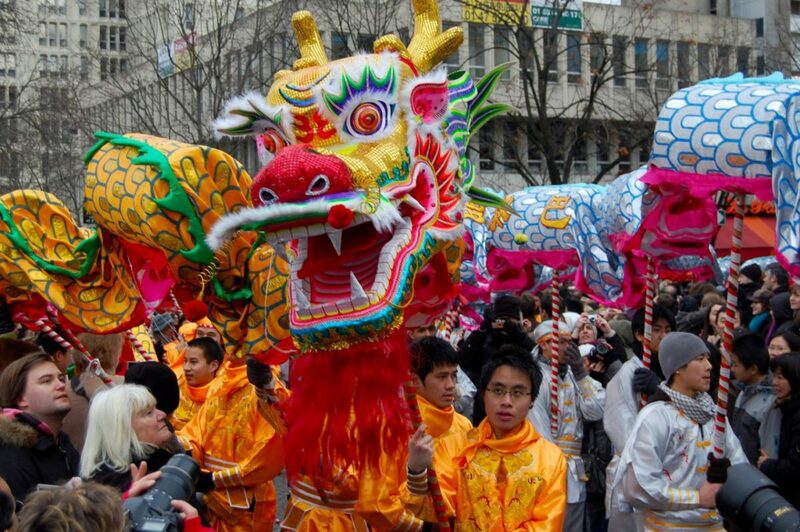 Traditionally, the biggest parade of the year is held on Avenue d’Ivry in the heart of the biggest Chinatown in Paris, and turns the usually rather sleepy 13th arrondissement into the scene of a bright, noisy, joyful party. Enormous red and green dragon heads and bodies form the most eye-catching point in the parade; but there are also bright red Chinese lanterns, dancers in traditional costumes, and red firecrackers making a bit of a din (I don’t recommend bringing your dog along). Since it’ll probably be cold out, it’s a strong tradition to duck into one of the area’s many Chinese restaurants for a big bowl of steaming soup, or a plate of warm dumplings. Here’s a list of some of the best, over at Culture Trip. If you’re intrigued, see my complete guide to Chinese New Year celebrations this year (at TripSavvy). As I detail in this article on the 7 best small museums in Paris, some of the collections I treasure the most are smaller, more intimate ones that tourists frequently overlook. 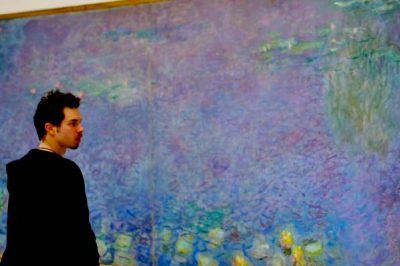 I’m not saying you shouldn’t spend some time at the Musee d’Orsay, the Centre Pompidou, or The Louvre: they offer too many masterpieces to simply skip over. But once you feel well acquainted with some of the heavyweight institutions, try reserving a morning or afternoon to explore collections such as the Musee Jacquemart-Andre, which houses masterpieces such as the one from Paolo Ucello above. Or get lost in contemporary images at the Maison Europeenne de la Photographie. See more of my suggestions in the article above (the painting links to it, too). 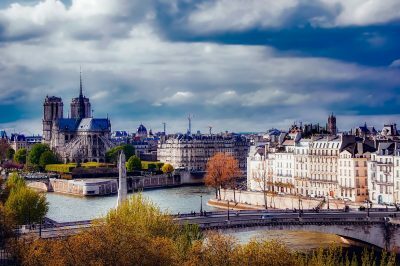 The history of Paris is a dizzying one that stretches back millennia– and its hundreds of public monuments and historic sites form a living memory of it. While most people know to beeline for Notre-Dame Cathedral or The Arc de Triomphe, there are plenty of fascinating sites that aren’t as obvious– even if they’re in plain view. One of these is the Conciergerie, a former medieval royal palace that was repurposed during the French Revolution of 1789 to become a tribunal and prison. Pictured above, many visitors just think it’s a pretty turreted building on the banks of the Seine, and skip right past it. Yet it was here that Queen Marie Antoinette was imprisoned and sentenced to death by guillotine. See more about it in this self-guided tour to medieval Paris. 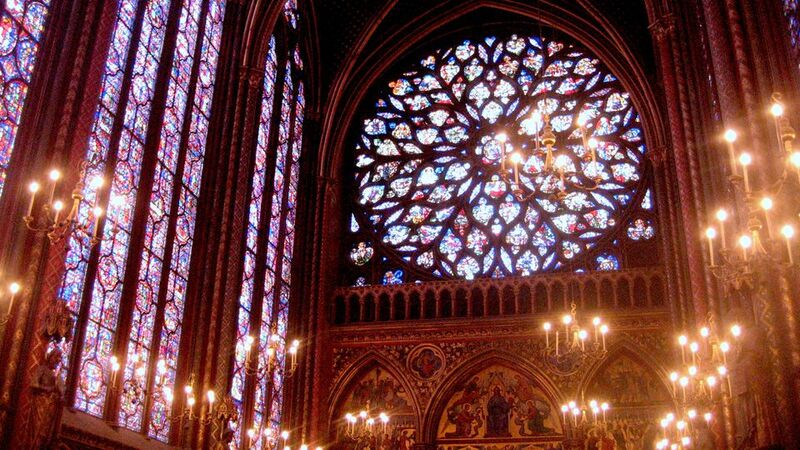 The Sainte-Chapelle in Paris boasts some of Europe’s most elaborate and delicate stained glass. Image: Courtney Traub/All rights reserved. 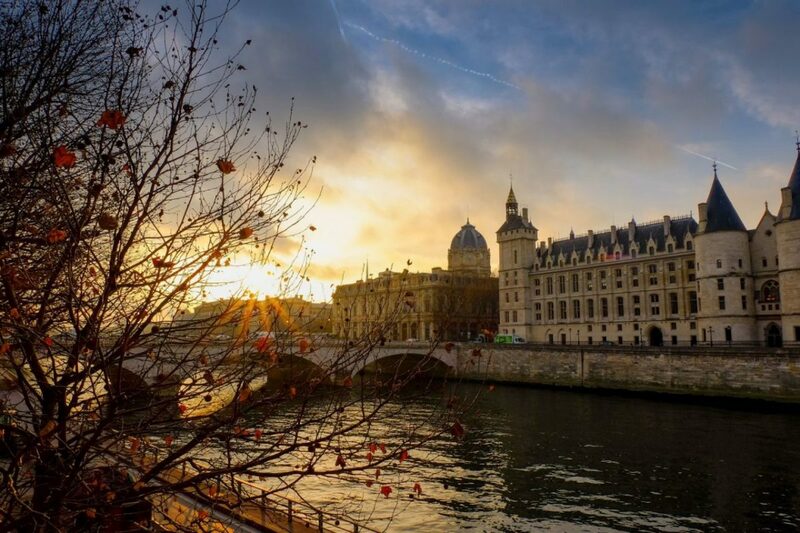 The Conciergerie is located on the same site as the Sainte-Chapelle, one of the most stunning examples of high Gothic architecture in Europe, and boasting 15 monumental beautiful, delicate stained glass windows depicting over 1,000 different Biblical scenes. The elaborately painted columns, ceiling and frescoes are incredibly colorful, in contrast to most Gothic cathedrals where the paint has long worn away. I always recommend a joint visit to both the Conciergerie and the Sainte-Chapelle, because you get a much fuller experience of this important place. 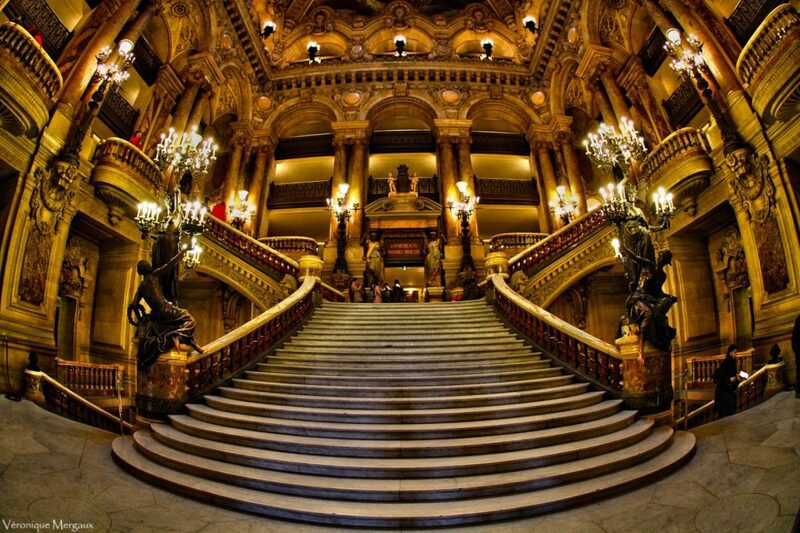 Another site I wholly recommend to get out from the cold and take in some stunning architecture is the Palais Opera Garnier, historically home to the National Opera. But since the opening of the ultra-modern Opera Bastille in 1989, the “Opera” Garner has become mostly reserved for the French National Ballet and Academy of Music; superb ballets and dance performances now fill the theatres here. Built from 1861 by a young architecture student who had won a competition to construct a new opera house, the building oozes with lavish decorate details, from elegant staircases to details in gold and bronze. 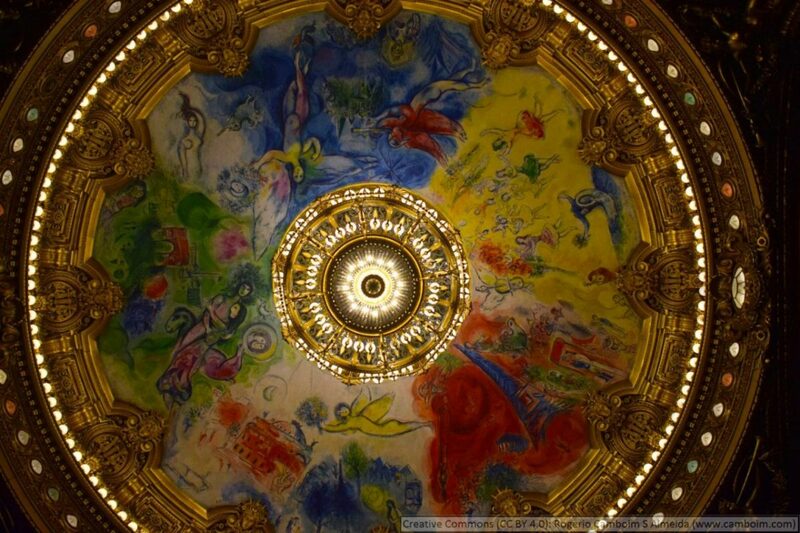 Inside the main theatre, a stunning ceiling painting by Marc Chagall (pictured above) is reason enough in itself to visit the site– at least in my book. 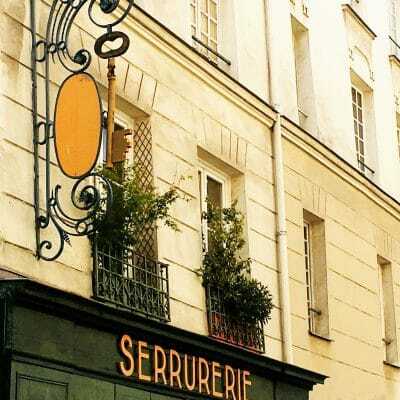 In addition to the places I’ve recommended, there are virtually limitless ways to take advantage of the February lull to delve into the treasures of Parisian history and culture. This is a good (and visually stunning) list that will take you further in that endeavor. Not everyone will be interested in celebrating Valentine’s Day– it’s arguably much better, after all, to celebrate and nurture a relationship all year long than to focus on a single day. But if you’re in town this month, you may as well live it up together and embrace the technicolor-romantic fantasies of the city. 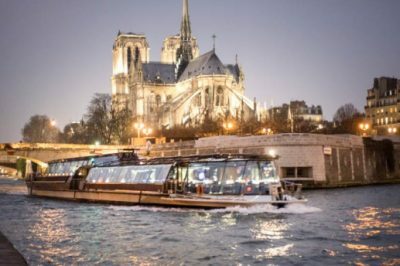 A romantic cruise on the Seine is always an excellent way to to that. Come to Paris offers a wide variety of excellent cruise packages, from sightseeing boat tours to romantic lunch and dinner options. 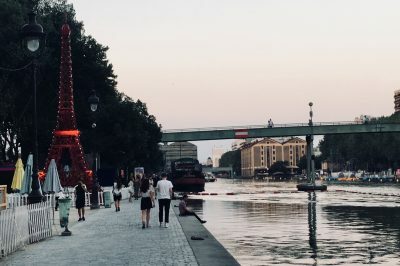 They’re also currently promoting special Valentine’s Day deal for couples: choose between dinner cruises, discounted shows at iconic Parisian cabarets like the Lido, evenings at Belle-Epoque brasseries, or live music sessions. Finally, February is an excellent time to retreat indoors for traditional tea and pastries, French-style. Sometimes that means macarons and a cup of rich black tea with milk. Sometimes that means luxuriating over fresh Moroccan mint tea paired with a honey-laced chunk of baklava, watching birds flutter around an ornate Marrakesh-style tearoom. 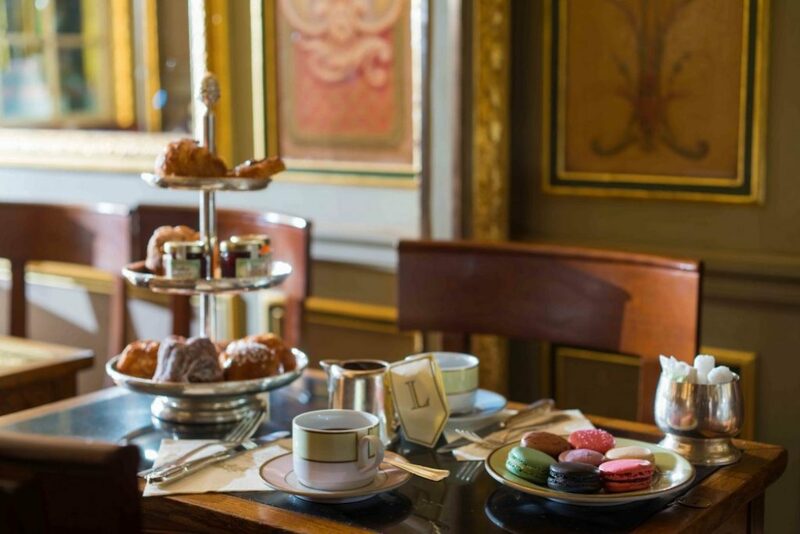 Read my picks for the most inspiring spots for tea and pastries in Paris here. 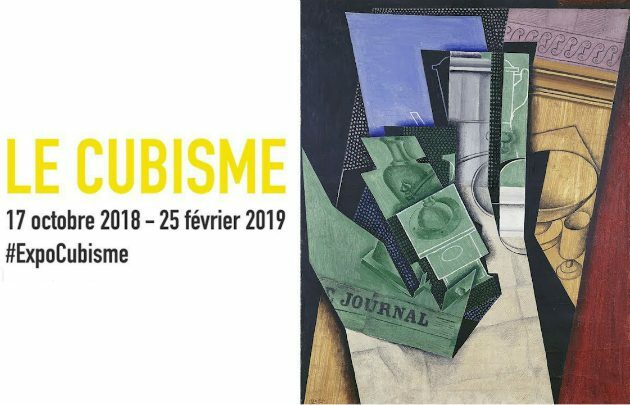 One is a monumental show on Cubism, running through February 25th at the Centre Georges Pompidou. Featuring masterpieces from artists including Pablo Picasso, Georges Braque, Francis Picabia, Sonia and Robert Delauney, Marcel Duchamp and many others, this revamped show initially debuted in France in the early 1950s. It offers a fascinating and in-depth look at the innovations of early 20th-century cubist art, which reorganized matter, reality and even human portraiture in boldly contemporary ways. 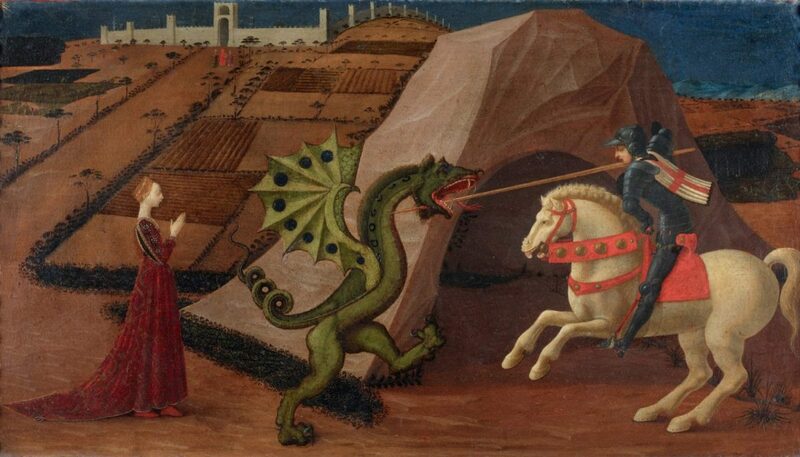 Ones that forever changed what “painting”– and even “perception”– meant. One wonderful aspect of this show is that it provides insight into the groundwork laid by the likes of nineteenth-centuryu artists such as Cézanne and Gauguin. Their influence on Cubist artists would prove profound. You can book skip-the-line tickets for this show and others currently running at the Pompidou here (via Come to Paris). 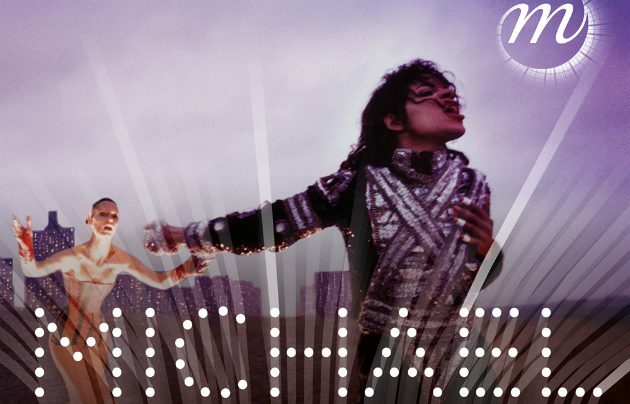 Through February 4th, delve into the artistic legacies of the late King of Pop. This unusual and much-anticipated show on Michael Jackson at the Grand Palais is unique in its parallel look at how the artist inspired and intrigued countless artists and musicians, from Jeff Koons to Paul McCarthy. 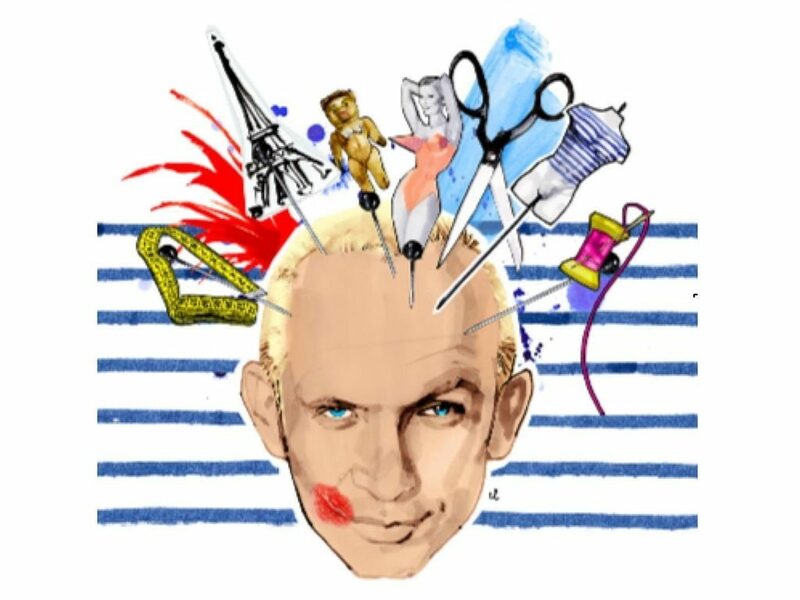 If you’re a fan of the quirky, iconic stylings of beloved French fashion designer Jean Paul Gaultier, this “freakshow” is for you. Running at the legendary Folies Bergère cabaret through April 21st, the epic show was conceived by Gaultier himself as a semi-autobiographical extravaganza tracing his life and creative inspirations. Shows run daily except for Mondays. You can book tickets here (via Come to Paris). For a fuller list of exhibitions and events on in February, try this one. To make sure getting there doesn’t break your budget, you can search for and compare deals on flights (via Skyscanner). Taking the train from somewhere else in Europe? If so, you can find train tickets and discounted passes over at Rail Europe. For a high-quality tour of Paris, browse the tours currently available with ParisCityVision. They offer a good variety of options at reasonable price points– from guided tours of the Louvre to day trips and gourmet experiences. Finally, it’s not a glamorous topic, but travel insurance can give you genuine peace of mind. Here’s why I think it’s crucial for your peace of mind and wellbeing while abroad. You can also get an instant quote to compare policies over at World Nomads.